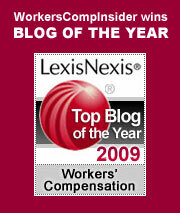 There is an ongoing debate concerning the compensability of injuries that occur during company sponsored recreation. As Dr. Suess might say, “These things are fun and fun is good,” except when your employer makes you do it. There is a fine line between employees participating because they want to, as opposed to feeling that they have to. Hunting: way back in 1933 Claire Fintzel was trying to close a deal while pheasant hunting with a business associate. He was shot in the leg. He received $15 a week for 100 weeks (a paltry sum, to be sure, but this was back in the depression). Boating: In 1941 Roy Linderman, a salesman for Cowie Furs, won a company-sponsored contest for highest sales. His prize? A fishing trip, during which, alas, he drowned. His death was deemed compensable. Basketball: In 1982 Professor Charles Campolo of Briar Cliff College was partcipating in a faculty-student basketball game. At age 40, Campolo had a known heart condition. He died in the game’s final seconds. Because the school derived a benefit from his participation, the death was compensable. curtail or cure the unsafe condition. This statutory language summarizes the issues without tying the hands of judges unnecessarily. It’s a good model for legislators contemplating changes. Beyond that, it’s good policy guidance for employers who want to encourage team building and fun, without creating inadvertant comp exposures. NOTE: Our collegue Julie Ferguson has related blogs here and here. Few think of health care as one of the nation’s most hazardous professions, but there you have it: nurses, nursing home attendants, and other health care workers are among the nation’s most frequently injured work population, suffering from a high incidence of musculoskeletal injuries. Patient care calls for frequent lifting and moving, and this wreaks havoc with the back and shoulders. It’s estimated that as many as 12 to 18% of all nurses stop practicing due to chronic back pain. The nursing shortage means that many health care workers have to do more with less, increasing the likelihood of injury; ironically, these injuries may be a primary culprit in exacerbating the nursing shortage. Not to mention the hazards to the patient. When you are at your most vulnerable, do you really want a single nurse to be heaving you about? Bill Cosby used to have a stand-up routine about how you never wanted to hear a doctor say “oops.” Similarly, When you are taking your first steps after major surgery, you don’t really want the nurse who is helping you to say “ouch” – a helper who is writhing in pain may not be in your best interests. In August, we reported on Texas legislation that required nursing homes and hospitals to implement safe patient handling and movement programs. Most importantly, both laws have provisions that protect health care workers from reprisals should they refuse to perform patient handling that they deem potentially harmful to themselves or their patients.